At the special iPad and Mac media event, Apple had released its latest innovation called 'iPad Air with Retina Display' and it’s now also known as 5th Generation iPad model after the introduction of iPad 4th Gen. device. Apple iPad Air 5G with Retina Display is simply most powerful tablet device with the integration of A7 chip with 64-bit architecture and 9.7-inch Retina display screen and it’s supported by latest iOS 7 mobile operating system and the longest 10 hours of battery life. 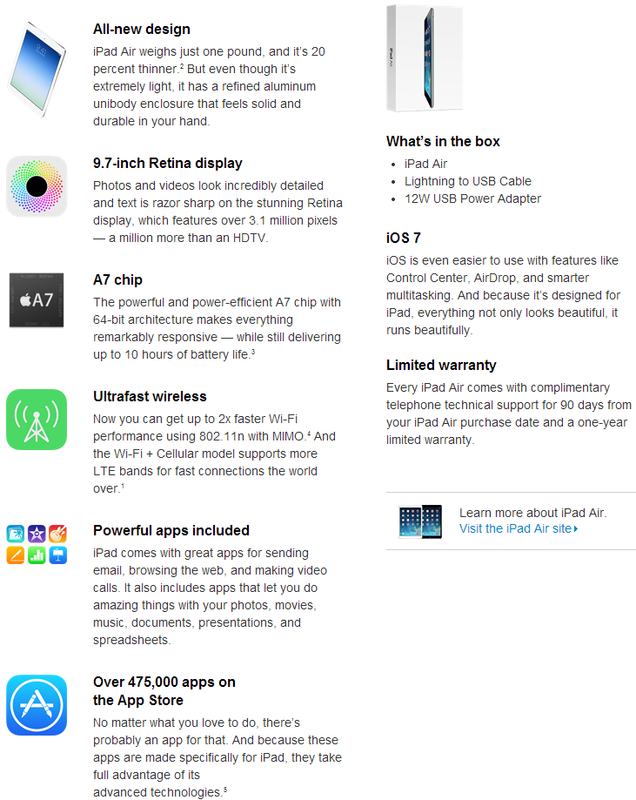 We have gathered and summarized all the technical, software and hardware specs and features of all-new iPad Air 5th Gen. Tablet device in an Infographic below. 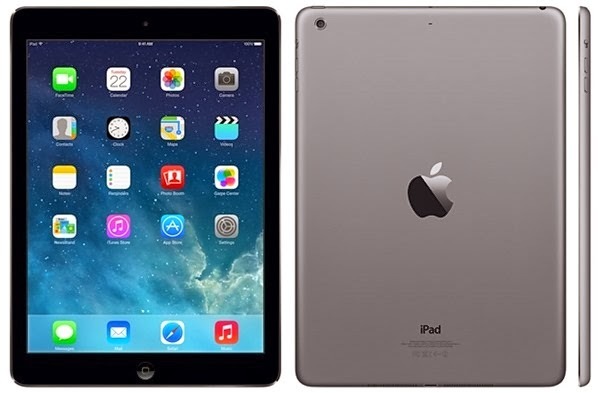 Apple iPad Air 5G is available in two beautiful colors i.e. Silver and Space Gray plus with two different models i.e. Wi-Fi and Wi-Fi + Cellular and with the storage capacity of 16GB, 32GB, 64GB and 128GB. So let's find out more features and specs of iPad Air 5G below. Apple iPad Air 5G with Retina Display is already available through Apple Store and its shipment has already begun in 41+ countries around the globe so placed your order now. The official price of Apple iPad Air 5G will be $499 for 16GB, $599 for 32GB, $699 for 64GB and $799 for 128GB for iPad Air Wi-Fi model, And if you're interested to purchase Wi-Fi + Cellular (AT&T, Sprint, T-Mobile, Verizon) iPad Air model than the official price will be $629 for 16GB, $729 for 32GB, $829 for 64GB and $929 for 128GB.